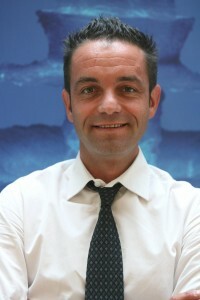 Philippe Rouxel is Chief Marketing Officer for GlobeCast, a world-leading content management and delivery company for broadcast and member of the Orange Group. Philippe oversees the company’s global product strategy, including business units in Europe, Africa, the Middle East, Asia and theAmericas. His strategy is particularly focused on developing value-added products in the broadcast market, particularly in response to the latest developments in the multiplatform management and delivery of audiovisual content worldwide. Prior to joining GlobeCast, Rouxel held the role of vice president of international distribution for France 24, a major broadcaster available to 165 million households across five continents. Previously, he held business development positions with channels belonging to Lagardère, Canal+/Multithémathiques, Viacom/MTV Networks International, Première, and Walt Disney International. Rouxel graduated from EDHEC and CELSA Paris-Sorbonne.